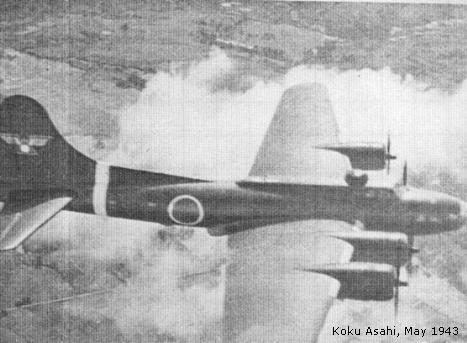 A spin-off of the "Zero War Prizes" series of articles will be "Allied Aircraft In Japanese Service." 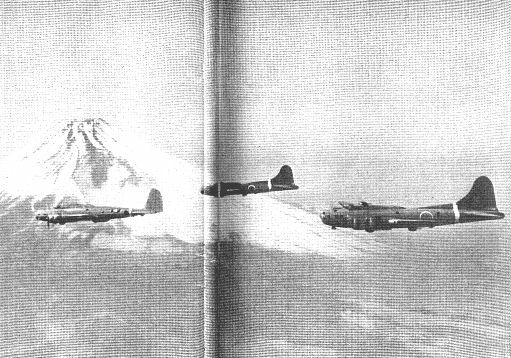 One of our close Japanese associate researchers has forwarded a Xerox copy of a unique view of a formation of Boeing B-17 Flying Fortresses over Fujiyama! The original photograph below appeared as a centerfold in a Japanese wartime magazine. Check these babies out!!! These three B-17s were captured by the Japanese in the Philippines and Netherlands East Indies. They were tested by the IJAAF Koku Gijutsu Kenkyujo (Air Technical Research Laboratory) at Tachikawa. A huge "Thank You!" to our "Japanese Dragon!" 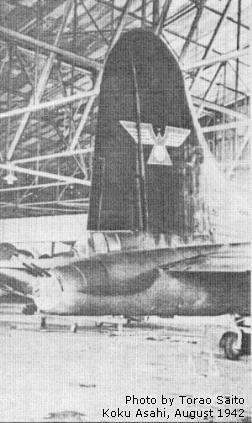 This is the final photograph available at this time illustrating the aircraft captured by the IJAAF and tested at the Tachikawa test center branch at Singapore. Pictured below are a impressed American Boeing B-17 Flying Fortress and two versions of Curtiss Wright products ordered by the Dutch and captured in the Netherlands East Indies. These "Koku Asahi" photographs, via Ryutaro NAMBU, are a sample of more to come when the series on "War Prizes" continues on Dave PLUTH's J-Dot Com web site. Photo credit: This photograph originally appeared in "Koku Asahi," a monthly magazine published by the Asahi Shimbun, Tokyo, Japan. Photographers, where known, are credited on each photograph. Since no negatives or original prints remain in the Asahi Shimbun archives, the original photograph was scanned from a remaining copy of the "Koku Asahi" magazine and digitally enhanced with the kind permission from the Asahi Shimbun. Editor's Note: These wartime photographs of captured Allied aircraft should keep some modelers busy until the upcoming article on this subject is completed! 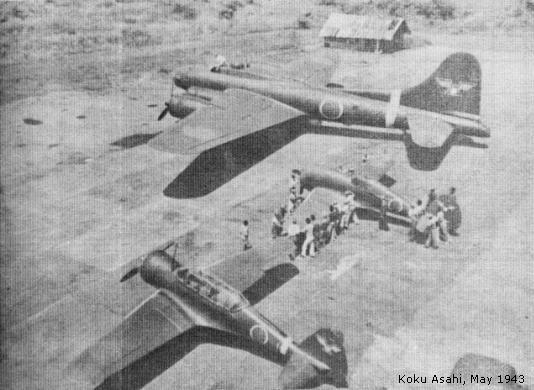 If you wish to see other photographs of captured or foreign aircraft in Japanese military service, consult Vol.6 of the "Encyclopedia of Japanese Aircraft:1900-1945," Shuppan-Kyodo Publishers, Tokyo:1972.